original for sale… prints available. please contact me for more info. the colours might vary slightly depending on the settings of your monitor. Down Under … no, in this case, not the beautiful australia, but the underwarter world. water… representing the subconscious in psychology, fish, inhabitants of this world, messengers from the subconscious. They bring dreams, ideas, memories, input, they connect us to our self; sometimes the messages are a bit weird, hard to decipher, they have their own language… but this language can be learned.. we just have to listen very carefully. 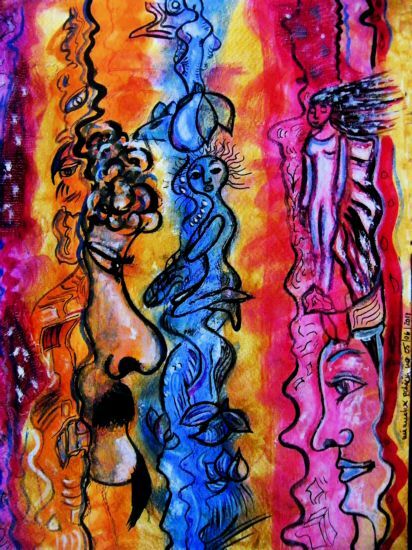 this is an intuitive painting – whispered into my soul by two fish – .. on thick watercolour paper. original artwork available in my Artfinder Gallery. if you compare this to yesterday’s post.. you’ll notice that the figure already appeared in my collage. i liked this figure.. i liked the concept of flying with the help of a balloon.. so i decided to use it again.. in a digital art piece. that’s the beauty of digital art… you can use images, figures, characters from other creations and create something new. 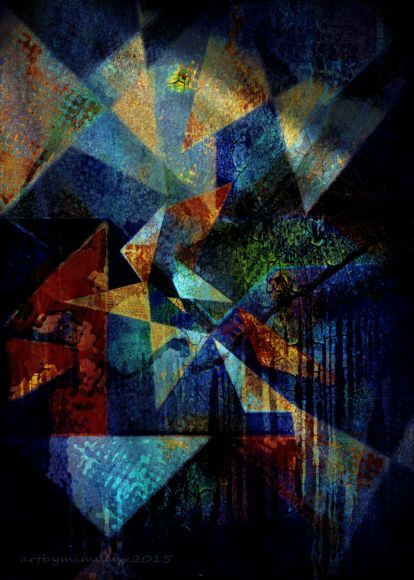 Night Flight has been uploaded to Artflakes.. and FineArt America, where you will find it in my Dreamscapes folder. Night Flight represents our nightly travels through our world of dreams.. sometimes happy ones, sometimes scary ones, sad, joyful … the journey varies. 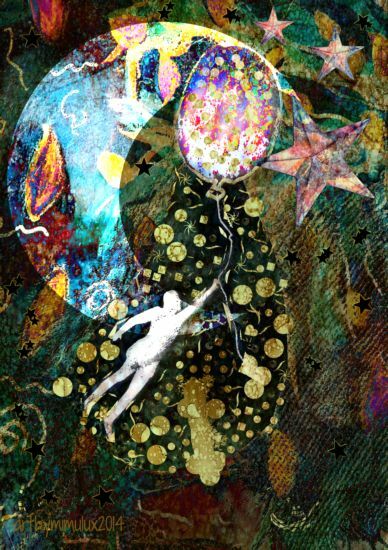 we hold on to the balloon and go to where our dreams are leading us, night for night. Fine Art Prints available. Pls check “my various other links” for more info.